Fox News Channel remained unrivaled in cable news in February, beating out top competitors CNN and MSNBC in average viewership for the 20th straight month. Fox News' total day average for total viewers in February was 1,548,000, well over second place MSNBC's 898,000 and more than double third place CNN's 700,000, according to Nielsen media reports. Primetime average viewership followed the same pattern: Fox delivered 2,766,000 viewers, with MSNBC coming in nearly a million short of Fox with 1,805,000, and CNN bringing in 979,000. Amongst the key demographic of adults between 24 and 54 years of age, Fox also carried primetime viewership, garnering 576,000 viewers compared to MSNBC’s 397,000 and CNN’s 357,000. The network also took the top two spots in primetime programming. 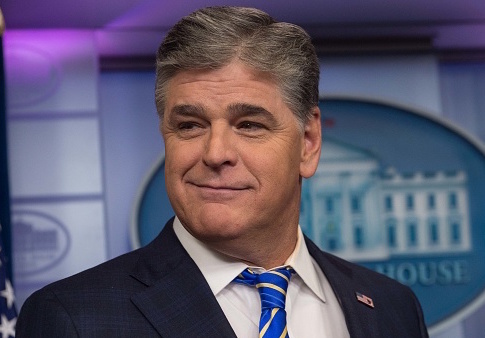 For the fifth consecutive month, "Hannity" took the top spot with 3.3 million in total viewers and also ranked number one in the 25-54 demographic. "Tucker Carlson Tonight" came in second with 3.1 million in total viewers ahead of MSNBC's "The Rachel Maddow Show," which came in third with 2.8 million total viewers. Overall, February viewership was slightly down for Fox and CNN from last year as MSNBC got an uptick compared to February 2017. Fox's total viewership went down 10 percent compared to the same month last year, CNN was down 19 percent, and MSNBC was up 15 percent in total viewership. In a positive sign for Fox, one of the network's newest shows, "Fox News @ Night" anchored by Shannon Bream at 11 p.m. EST, surpassed MSNBC counterpart "11th Hour with Brian William." This entry was posted in Politics and tagged Brian Williams, CNN, Fox News, MSNBC, Rachel Maddow, Sean Hannity, Tucker Carlson. Bookmark the permalink.